The H&M 2018 Black Friday ad has not been posted yet. 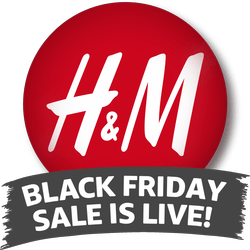 Be sure to keep checking back for the latest H&M Black Friday news and updates. 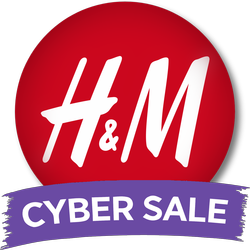 If you have the leaked H&M Black Friday sale ad for this year, please go here to let us know. Sorry, we do not have any previous H&M Black Friday ads on the Black Friday Archive. Sorry, there are no H&M Black Friday news stories posted yet. Check back soon. Here are the latest Facebook and Twitter posts from H&M. Interact with them on social media below. Hennes & Mauritz AB is a Swedish multinational clothing-retail company known for its fast-fashion clothing for men, women, teenagers and children. H&M and its associated companies operate in 62 countries with over 4,500 stores and as of 2015 employed around 132,000 people.